have many headgear to choose from. For when it's cold. Keeping operators warm, dry, and light. Ideal use: Temperatures under 55 degrees F. ColdGear® features a double-sided fabric that wicks moisture from the skin and circulates body heat. It accomplishes the impossible by keeping you warm without weighing you down. 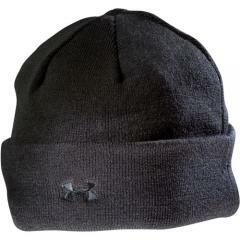 Classic cuffed acrylic beanie lined with Under Armour® moisture wicking fabric. As expected, with the exception that there is a thin second liner in the top of the hat to keep in extra heat. Good addition when wearing to work and the lipbrim of the hat folds down to cover more earupper neck for high windcold. Good product. Warm, comfortable and fits well on my big head.